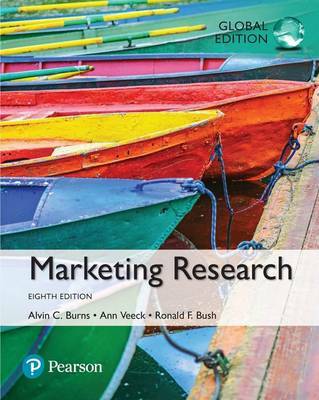 The 8th Edition of Marketing Research continues to provide students with a “nuts and bolts” introduction to the field of marketing research. Intended for students with no prior background in marketing research, the book teaches the basic fundamental statistical models needed to analyse market data. This edition has been condensed and reorganised for a more streamlined approach. An integrated case study throughout the text helps students relate the material to the real world--and their future careers. All information has been updated to offer the most current insights on forces shaping marketing research, such as the impact of social media and mobile technologies.